Kiev in 1911, between the 1905 revolution and the overthrow of Russia’s last Tsar, is ‘a medieval city full of wild superstition and mysticism’ – and a cauldron of anti-Semitism When a twelve-year-old Russian boy is found stabbed to death, his body drained of blood, the Jews are accused of ritual child murder. Yakov Blok, a handyman (or ‘fixer’), is blamed and then arrested and imprisoned without indictment. 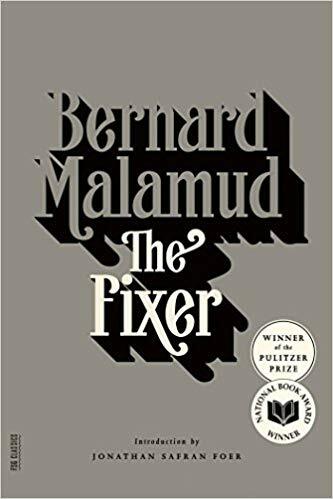 As the accusations against him mutate and multiply and public involvement intensifies his suffering, acquittal comes to seem as terrifying as conviction. 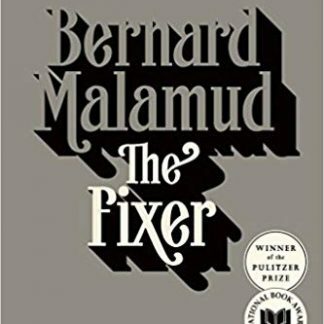 Published in 1966, The Fixer won Bernard Malamud both the Pulitzer Prize and his second National Book Award.